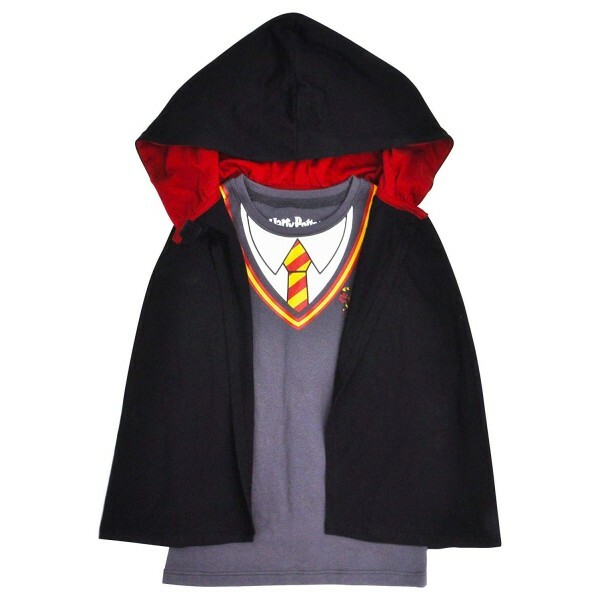 She can imagine herself as Hermione Granger — at a costume party or any time — with this Gryffindor uniform shirt with matching cloak! 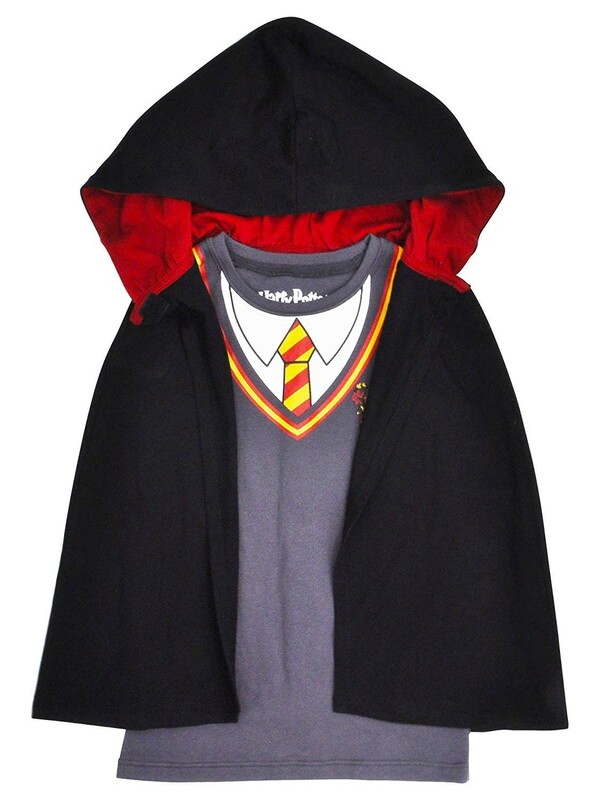 This officially licensed set includes a 60% cotton, 40% polyester shirt with a Gryffindor crest and tie print, and a short cloak with a hood that's lined in Gryffindor burgundy and has a hook and loop closure. Available in youth size 4/5, 6/6X, and 7/8.